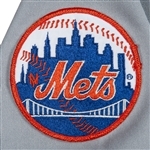 Former Major League All-Star Jeff Kent spent four-plus seasons with the New York Mets. 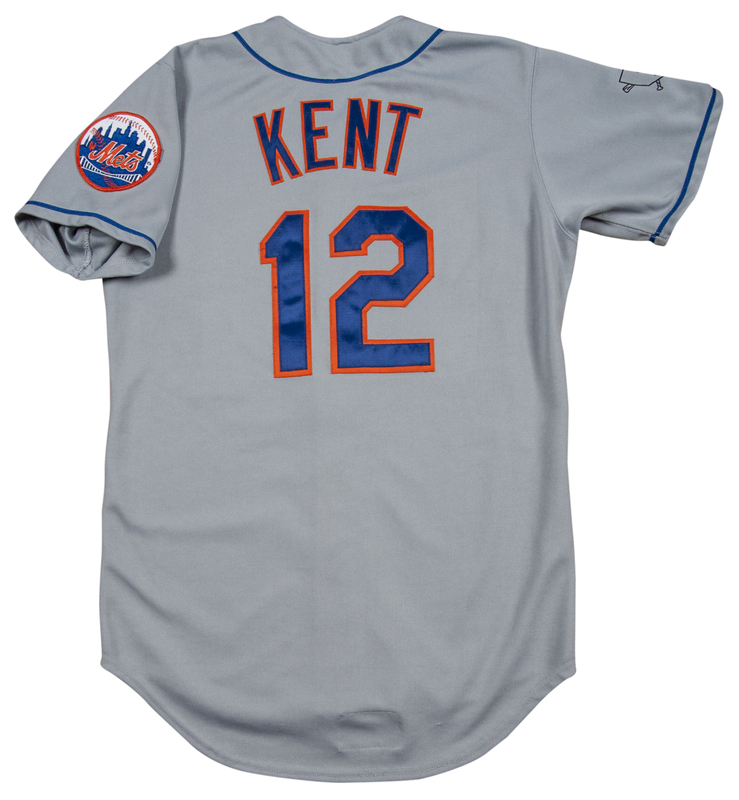 Offered is a road jersey Kent wore for his last season in New York. Kent played in 89 games for the Mets in 1996 before being traded to Cleveland. 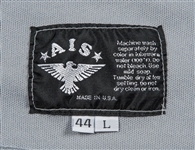 This size 44 jersey was manufactured by AIS and features “NEW YORK” arched across the chest in blue and orange tackle twill. Blue piping surrounds the collar and both sides of the buttons, along with each sleeve. Kent’s number “12” is sewn on in blue and orange on the front right of the jersey and on the back. 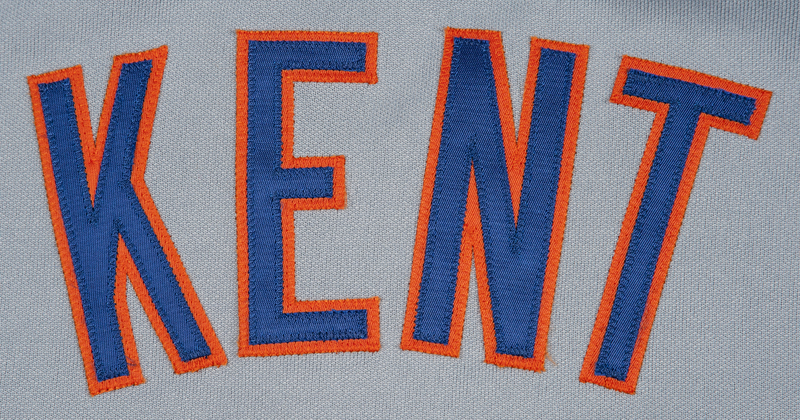 “KENT” is sewn on in blue and orange directly to the jersey above his number. 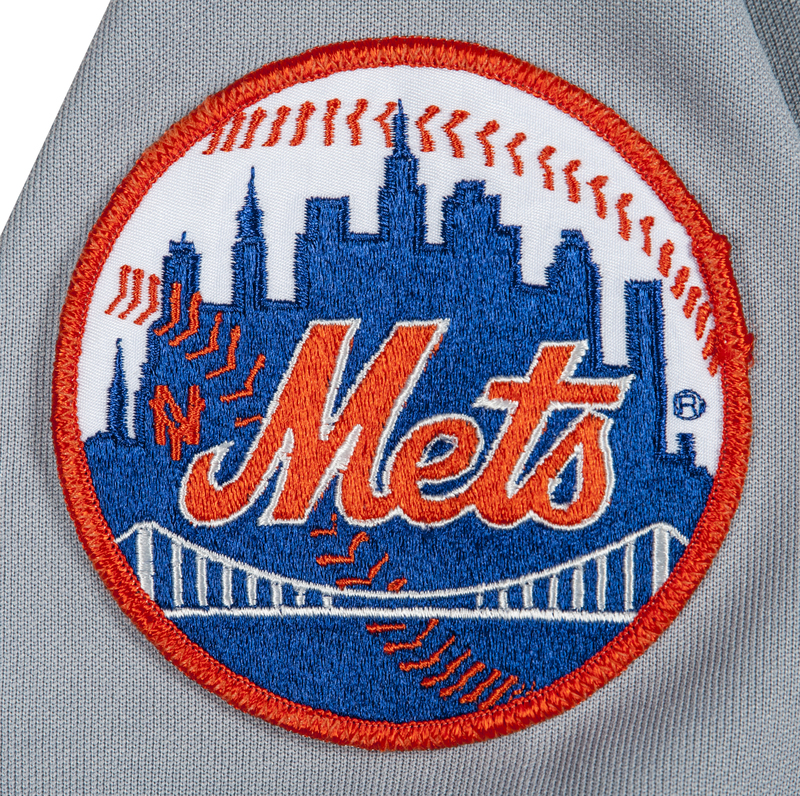 The left sleeve has the circle Mets cityscape logo and the right sleeve has embroidered in black a home plate with “J.M. N.L. 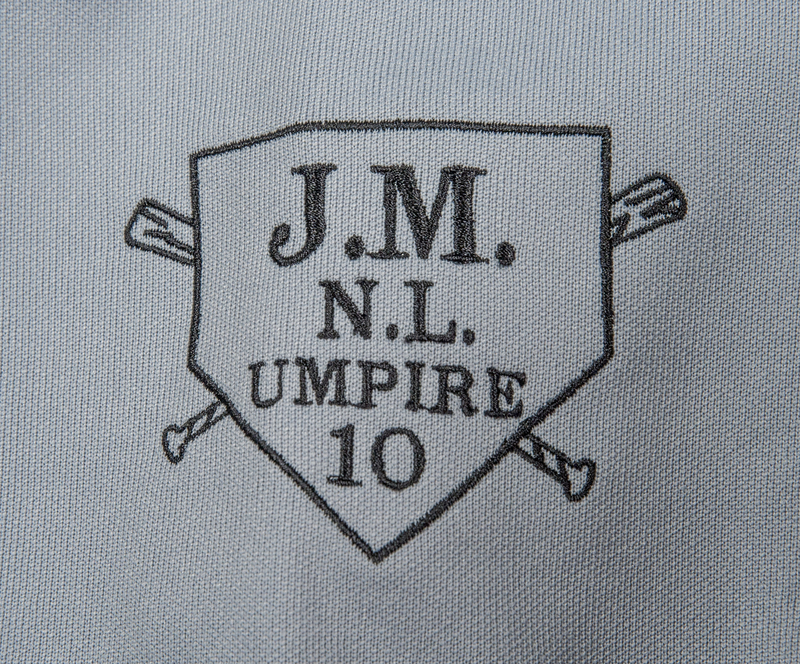 UMPIRE 10” in memory of umpire John McSherry, who passed away working on Opening Day in Cincinnati on April 1st. 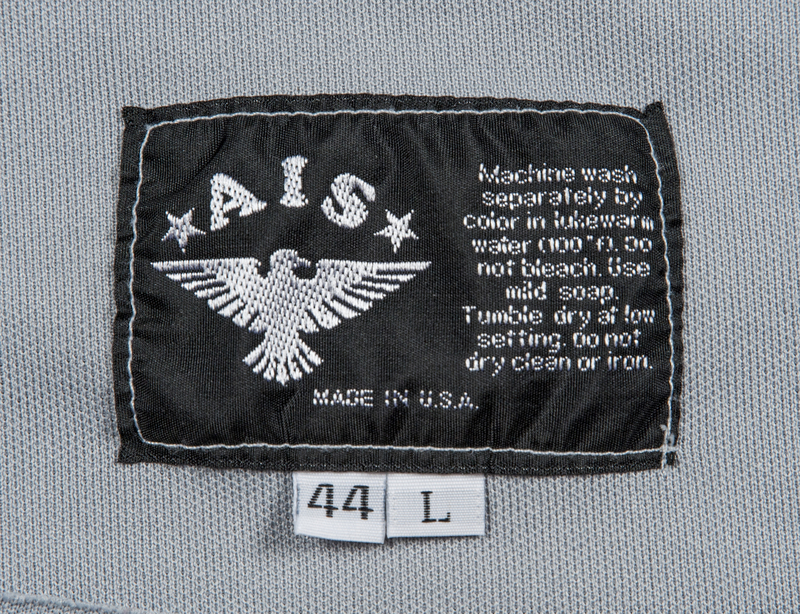 The AIS tag is sewn on the inside back tail. 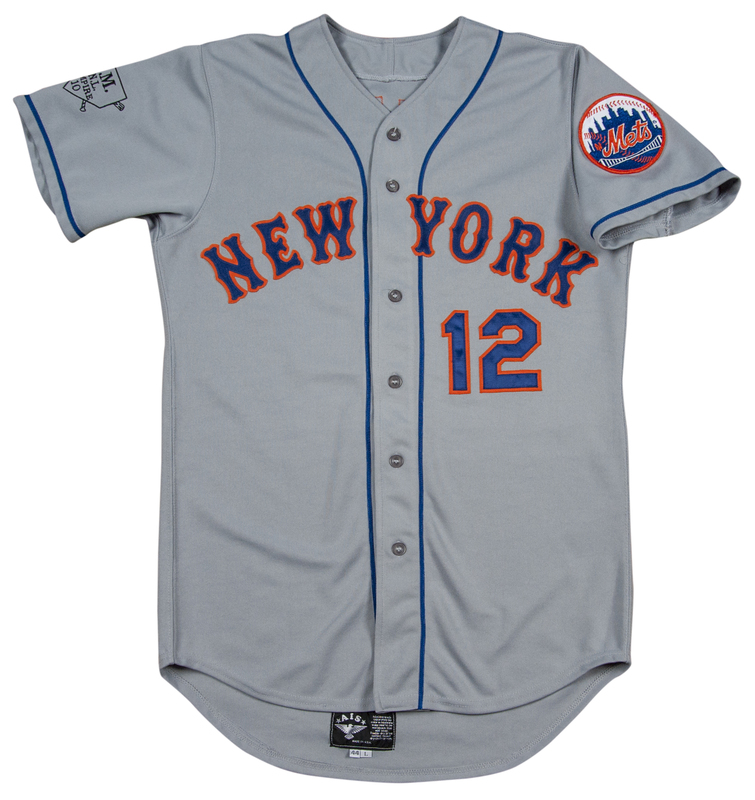 The jersey shows moderate use with loose stitching on the numbers and letters. 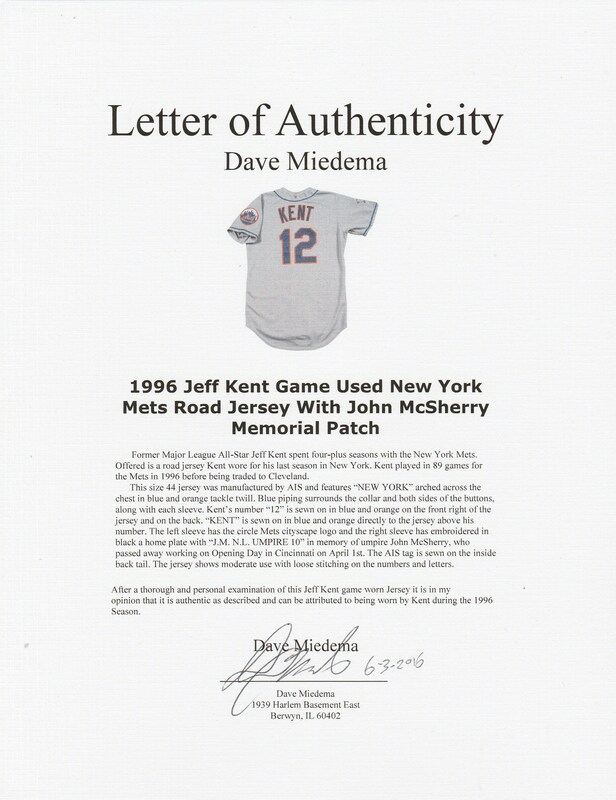 This jersey comes with a full LOA from noted game used jersey expert Dave Miedema.